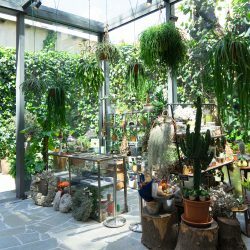 Let’s be honest: Plants at home also make work! But it is work we consider a pleasure not a chore, right? 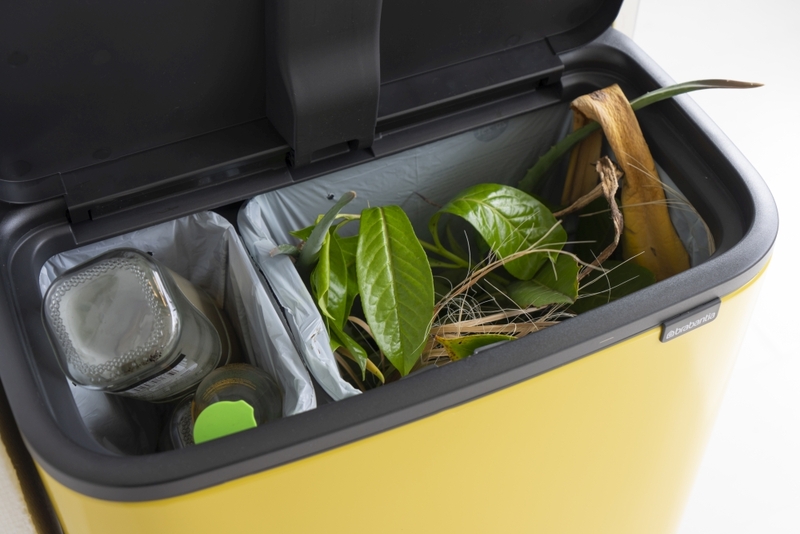 Apart from watering, pruning, fertilizing, cleaning and caring for our plants, we also get quite often a little heap of green garbage to get rid of. Lucky are those who have a compost heap as this is the best way to circle back plant waste into nature. 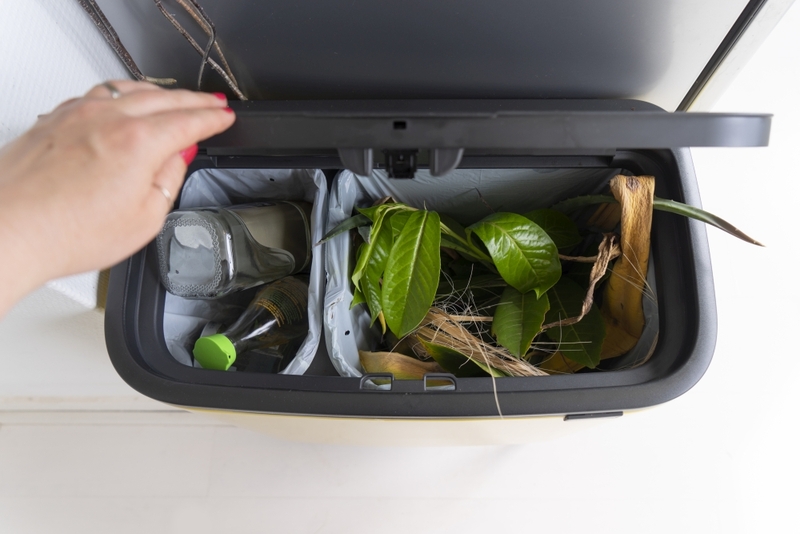 For those living in urban spaces the best solution is a separate bin for biodegradable waste. 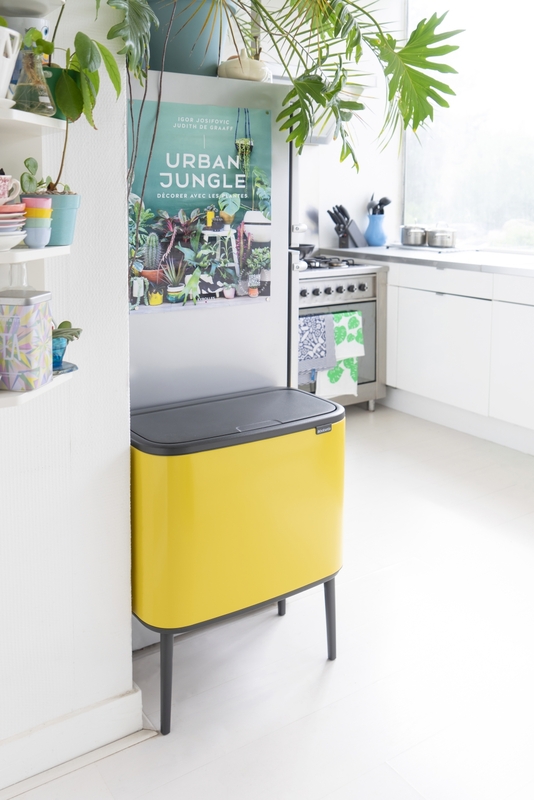 And since we at Urban Jungle Bloggers always strive for something stylish for the home too, we might have a little suggestion for you: the new Bo bin by Brabantia. The new Bo bin by Brabantia comes in two versions: As a Touch bin with stylish legs and as a Pedal bin for more compact spaces. It also comes in eight different colours and 3 different sized removable inner buckets, so you can definitely make your waste bin a stylish addition to your kitchen. We are using our Bo bin as a perfect solution for our plant waste. Our plant care routine is as simple as this: Once a week we dedicate an extra hour or so (depending on the number of plants) to go through all our green roomies. We check on their status of happiness. Who needs some water? Who needs pruning? Who is suffering? Who is growing new leaves? Ususally this plant routine hour ends up with a good handful (or two) of plant waste. And hop it goes into the new bin! 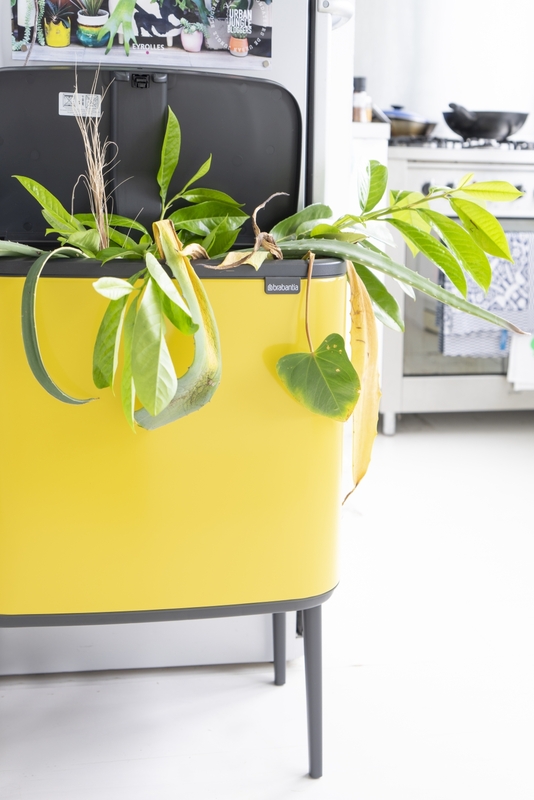 The new Brabantia Bo bin does not only look stylish and helps you reduce your impact on the planet, but it also has a pretty small footprint itself. 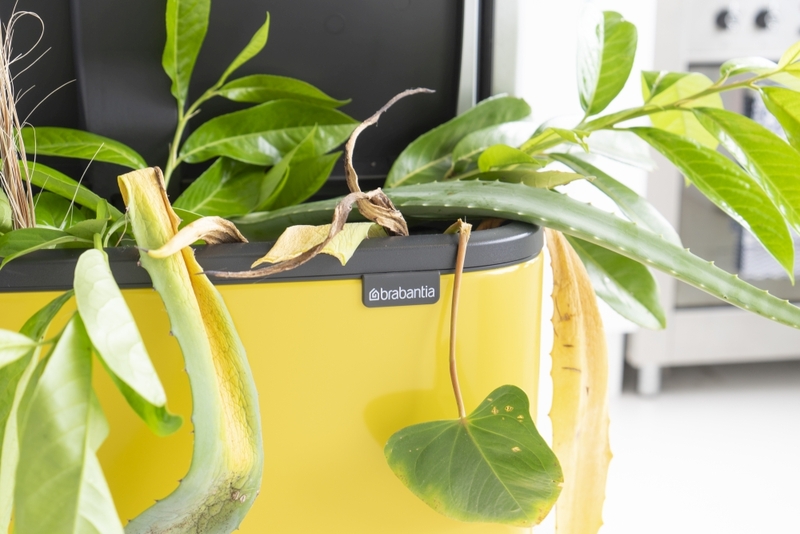 Like many Brabantia products, Bo Pedal Bin is Cradle-to-Cradle® Certified on Bronze level. For every Bo Pedal Bin sold, Brabantia donates to The Ocean Cleanup. Dedicate one specific day/time for your plants and mark it in your calendar! No forgotten dried up plants anymore! Make your plant care routine a good me-time. Play your favorite music, get in comfy clothes, brew yourself a coffee. Make it enjoyable to the max! Get a nice watering can to add aesthetics to your watering routine! We rounded up some favorites here. 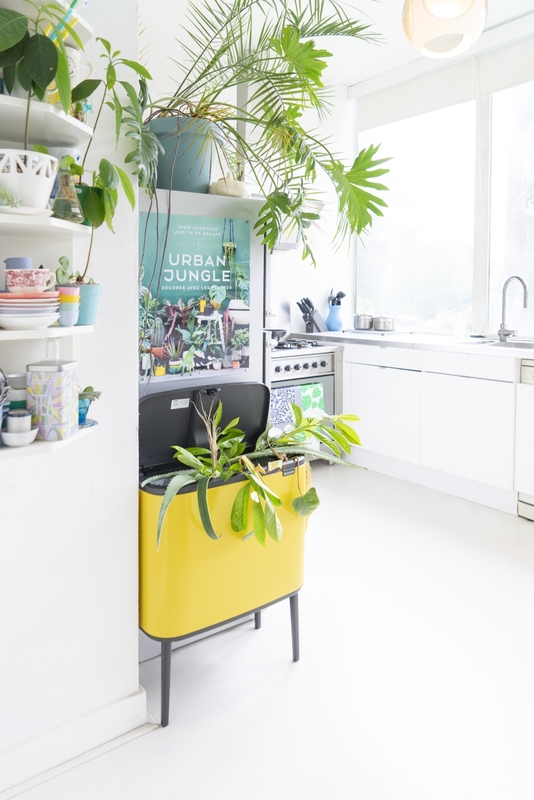 Have your urban jungle kit ready: plant scissors or a sharp knife, fertilizer, a damp cloth to clean off the dust from your plants, a mister, a bin for the plant waste. Group plants together according to their needs (light loving plants, humidity loving plants, desert plants etc.). It will make plant care much more efficient. Love your plants! As simple as that! Thank you to Brabantia for sponsoring this post. As always all thoughts & opinions are our own. Thank you for supporting the brands that help support this blog.